I'm often asked how to build a water-cooled PC and what components are compatible with what. Mainly what frightens people is the assumed complexity of the cooling system compared to air cooling. 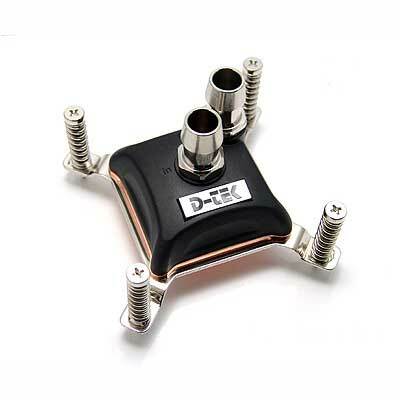 Having just completed the labs test for Issue 69 of Custom PC involving numerous CPU coolers, I can honestly say that mounting a waterblock like the D-Tek FuZion V2 is an awful lot easier than many CPU coolers I've seen. In fact, the FuZion V2 costs a lot less than most air-coolers too. Alright, I'll concede that you need to fork out for pumps, radiators and reservoirs too, but the fact remains. What really frustrates me though is; why on earth are modern enthusiast water blocks so much easier to install than many supposedly high-end CPU coolers? After all, off the shelf water-cooling has barely been available for a decade, but I remember the early PCs I owned in the early nineties coming equipped with some sort of cooler. 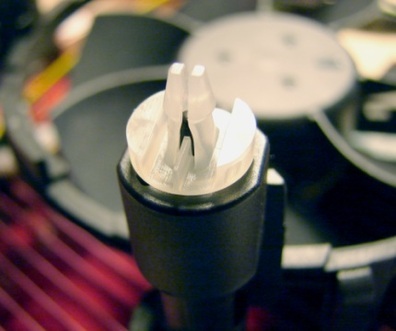 My point is, why, given the extra time that CPU cooler manufacturers have had to improve upon mounting mechanisms, are we still encountering CPU coolers that leave your fingers in a worse state than if they’d found their way into a food blender? Or have a ridiculous amount of parts? Or just don’t mount properly at all? Some require so much pressure that you risk damaging or even bricking your motherboard. We’re not talking about cheap and nasty hardware here either - some coolers costing over £50 are named and shamed in the latest labs test. The humble push pin. Isn't it time it was resigned to the history books? I see plenty of air-cooled systems in the wild that use CPU coolers that look like they fell off some passing spaceship, but are well known to perform worse than stock coolers. So, maybe watercooling enthusiasts are an exceptionally well informed and mercenary bunch in that, if there aren't very good reasons other than aesthetic to buy a water-block, they simply won't buy from that manufacturer? I doubt it. In fact, there are plenty of dire watercooling kits out there too which perform worse than good air cooling, yet people buy them either because they assume any form of water-cooling is better than air cooling or just so they can say they have a watercooled PC. However, you usually have to have some experience with air cooled PCs before you even attempt to build a water-cooled one. Many of these people seem to have cottoned on to the fact that manufacturers who make these awful products are preying on the innocent members of the public who have never visited bit-tech.net or picked up a copy of Custom PC and simply go on looks and size alone. Bigger means better right? Well, in the case of PC hardware, no. It’s very rarely that simple. My advice is to steer clear of the fanboys, the pages of hyped-up specifications and pretty pictures because buying hardware just because of how it looks, what it claims to do or even because previous models have been good is the worst thing you can possibly do.